The Center for International Policy will host a delegation to El Salvador from the 4th to the 6th of October. As with our illegal logging campaign in Honduras, we see the water crisis in El Salvador as a problem that encompasses broader democratic issues such as corruption, access to justice, and equal distribution of resources. 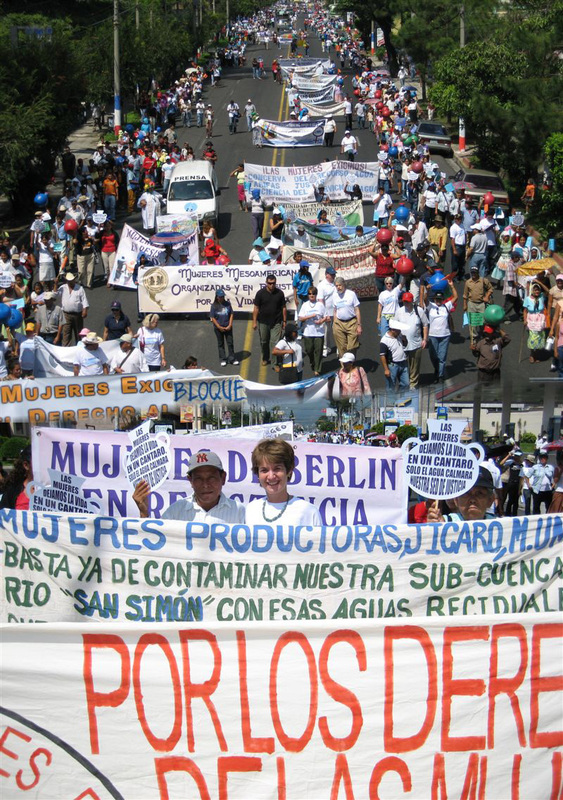 As part of our Blue Democracy campaign, and in close coordination with our two Salvadoran partner organizations, CIP will sponsor a Women’s March for Water on the morning of October 5th, to coincide with the Inter-American Water Day on October 6th. The marchers, who will come from distinct regions of the country, all with their own water problems, will march to the National Congress to urge the government to take concrete steps to resolve the water crisis. Those most affected by the problem are women and children, particularly those in rural areas. Many rural women are forced to spend hours a day going to collect water, and hauling heavy buckets back and forth for cleaning and cooking. At the same time, thousands of children become ill each year from water-related diseases.